We’re not the ones who categorise people by skin colour, gender and ethnicity, and expect them to be no more than the sum total of their oppressions. We’re not the ones who call “gender traitors” at people who disappoint us…. When will the leftist violence end? Tuesday night seven protesters were arrested after attacking attendees at the Milo Yianopolous Sydney event. In this video you can clearly see a mob of about forty attacking a group of about five elderly and middle aged attendees who have to be protected from the red flag wielding mob by NSW police. There is no city or town in Australia where leftists (no matter how extreme) have to fear violence and intimidation like this. This is all one way traffic. In every major city in Australia, if conservatives or right wingers attempt to hold a meeting there is always the risk that the same thugs will show up, screaming the same screams and waving the same flags. In Melbourne it’s almost a certainty. Let’s be clear, this is not peaceful protest we are talking about, this is using threats and intimidation to shut down events by bullying both venues and attendees. Who are these people? What makes them think they have the right to shut down any opinion they dislike? As already pointed out, in Adelaide the protests against the Milo event were organised by Socialist Alternative and the Anarchist IWW. In Perth they were organised by “United Against Racism And Bigotry”, a Socialist Alternative front group. Debbie Brennan of Socialist Alternative, known to her mates as ‘Skeletor’. In Melbourne the organisers of the worst violence so far were the “Campaign Against Racism and Fascism”, a group led by Freedom Socialist Party nutcase Debbie Brennan, Socialist Alternative organiser Chris Di Pasquale, Socialist Alternative organiser Vashti Kenway, Socialist Alternative organiser and Safe Schools architect Roz Ward, Socialist Alternative member Sadia Llona as well as the hilariously insane mediocre musician and Socialist Alternative member Ezekiel Ox [real name Alan Davies]. Are you starting to see a pattern? If so, you’re smarter than almost every journalist in Australia. Melbourne is the heartland of Socialist Alternative; the largest most violent and best organised political extremist group in Australia. 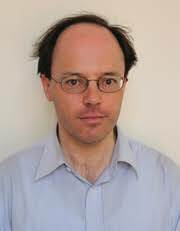 Socialist Alternative founder, Guardian opinion writer and male pattern baldness sufferer Jeff Sparrow himself had called for leftist radicals to flood the streets. In Sydney Tuesday night, the rally attracted a slightly more diverse cast of characters. Visible in the crowd were Mark Goudkamp of Ian Rintoul’s Marxist group “Solidarity”. If you’ve been reading XYZ you know “Solidarity” has well known links to the Anarcho-Communist “Left renewal” faction of the Greens, who were also represented in the personages of Mason Wang and Tamara Ryan. But Socialist Alternative dominated here, again waving their red flags frantically like that wall in Berlin is still standing. The video of attendees being attacked above was gloatingly uploaded by Jason Heffernan, a Socialist Alternative associate. SAlt leadership was also on hand in the form of Omar Hassan, April Holcombe and Diane Fieldes, while other SAlt members such as Gavin Walker, Liv Claire and Isabelle Liddy made up the numbers with a significant contingent from the Socialist Alternative aligned Socialist club at the University of Wollongong. A university contingent is only to be expected, after all the bespectacled face and creepy comb-over of Professor Nick Riemer of the University Of Sydney Department Of English was also a part of the violent mob. You might remember Dr Nick as one of the leaders of a protest against Israel where five dollar notes were rubbed in the faces of Jews, or maybe you just read some of his many articles at Green Left Weekly or on the website of Ian Rintoul’s Solidarity, or saw him being quoted by the ABC as a “spokesman” for the Refugee Action Coalition, or perhaps you read here at XYZ how he attended a conference in Sydney of some of the most extreme nutbags in Australia. He’s a bit of a non-denominational Marxist scumbag (paid by your taxes to teach your children of course). I could go on and on but to sum up, the people attacking attendees and police at Milo events are Marxists. The thugs trying to decide who gets to speak in Australia and who doesn’t are almost 100%, straight up, honest-to-goodness Communists waving red flags and screaming about revolution. This information is freely available, it’s almost laughably easy to find out who these people are, and most of them don’t even bother to hide. So why haven’t you heard about it? Why weren’t the media headlines about a mob of Communists attacking both police and people peacefully trying to attend meetings? After all that’s exactly what happened. 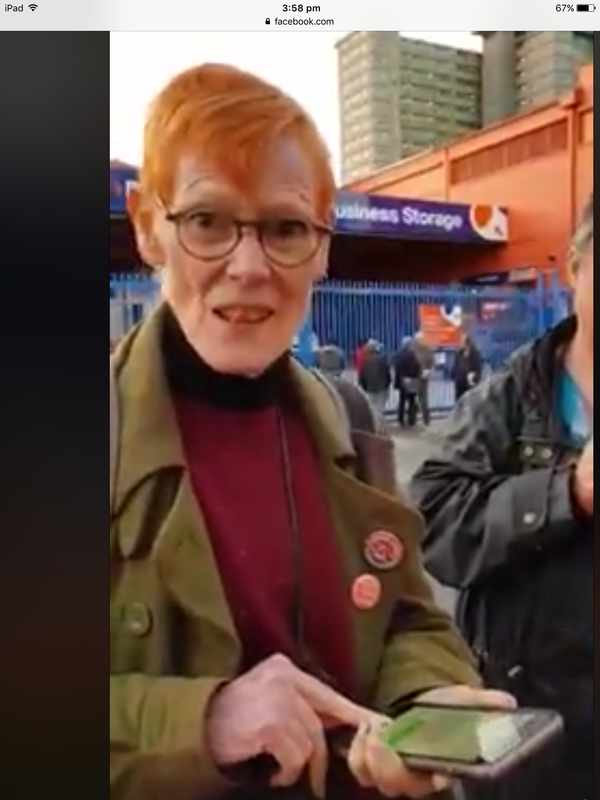 These people are not “anti-fascists” or “anti-racists”. They are the most radical political extremists in Australia today. They openly promote violence against their political opponents and the police as well as the violent overthrow of the government, and the institution of a totalitarian state. Yet the media and authorities seems not to notice. The Victoria police assistant commissioner said he understood the point of view of the “protesters” attacking his officers with fireworks, rocks and uprooted street signs. Neil Mitchell on 3AW conducted a bizarre interview with Ezekiel Ox where he never even mentioned the man’s long list of extremist affiliations. You need to do something about this. Yes, you reading this article. You need to scream, you need to shout, you need to yell about these thugs from the rooftops. You need to call talkback radio and ask why not even they identify the groups these people come from, you need to fill the comment sections online of the newspapers that still allow them, you need to flood the Facebook pages of media outlets and the twitter feeds of journalists when they refuse to name just who these violent extremists are. And most of all you need to get organised. There are so many more of us than them, it only doesn’t seem that way because every day and every night these red flag waving fanatics are organising, recruiting and making plans. If only a fraction of patriotic Australians did the same, if only a day came where we stood united against these traitorous un-Australian scum, we could drown them out forever. If you are not organising at your local level, if you’re not getting in touch with like-minded people near you, if you’re not doing your best to make sure that when the next Reclaim Australia style awakening occurs, our side has the organisation to drown out those opposed to us, then you are part of the problem not the solution. If you don’t know anyone, contact XYZ and we will try to help. If you live in the middle of no-where write an article for this site, if you can’t write to save your life send money to help support those who do. The Communists have survived the complete historical bankruptcy of their ideology simply by being more disciplined and organised than anyone else. If we want our country to survive them, if we want right-of-centre people to ever be able to hold a meeting without fear of attack, if we want to begin rolling the Overton Window back towards the sunlight of sanity we will have to do likewise. This is our country, not theirs; it’s well past time they were reminded of that fact. These pathetic low life mongrel scum bags are lower than cockroach excrement and should be arrested, goaled and the key thrown away and not applauded by the police and the media. 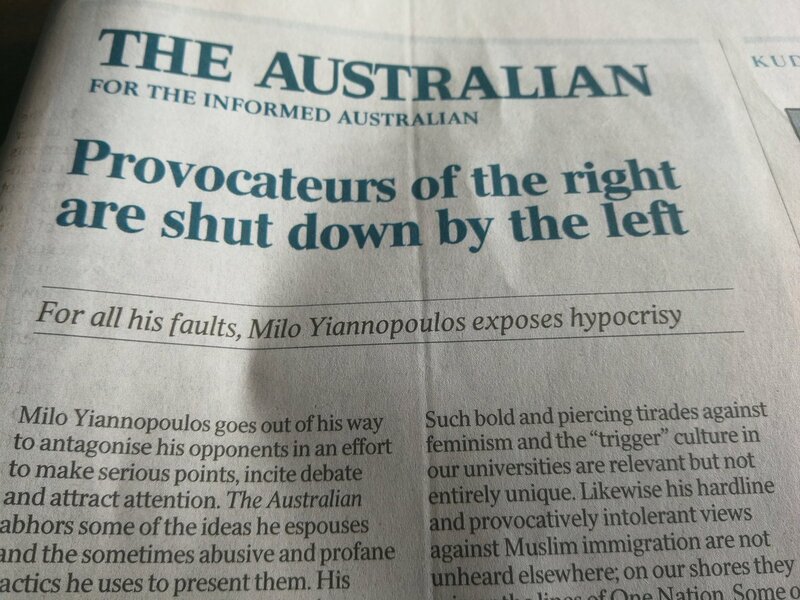 Free speech is the right of every Australian citizen not only those who cannot understand that we do not agree with them. Socialism in any form is paramount to surrendering what we live for and believe in and those who promote it need to be eradicated. What’s the difference between government, and socialism? Democratic Government: So, which salesmen will you hire to spend half your money (or to give you half of other people’s money, if you don’t work)? Socialism: So, which gangster do you want to control everyone’s property, while not giving any of it back to you? PS: Slavery is good for you, kamerades! Communism (gangster extortion leading to outright slavery, where individual human citizens have no property rights, and so no right to even defend their own lives from the ‘state’ gangs, and makers are forever enslaved to takers: “from each according to his ability, to each according to their needs”) IS an anti-human criminal threat and so should be outlawed forever. The difference between government and socialism is that the people are the owners and shareholders of government, which is supposed to act as a collectively-owned insurance company, to address temporary crises and to enhance (but never replace) the defense of the citizens. Communism (aka socialism) in stead is supposed to replace all individual defense initiatives, in fact outlawing all individuals. It’s the difference between being an owner, and being a slave.